But can I afford a £5000 bag? The answer is no even when they are considered as long-term investment. From the part of the world where I belong, people mainly invest in pure solid gold. So investing in a designer bag is out of a question. It will be a miracle if I get my hands on a designer piece someday. However, it doesn’t mean I cannot admire them. So, either I take a route to a fake bag or good dupe. You must be wondering, what is the difference between fake and dupe. Aren’t they the same? No, they are not. Dupe is an imitation of a designer piece. Replica but without the designer name, logo and price tag. Sometimes the replica is so convincing, that without knowing the hidden detailing of designer bags, it is nearly impossible to tell the difference between dupe and original. Mostly these imitated bags are backed by high-street brands and there is always a way to return the product if it is not a satisfactory piece for the price paid. Fake on the other hand is a piece which is a complete rip off from original. Counterfeit bags with designer’s logo and name are also come with high price tag. Because they are produced with the intention to deceive and take advantage of high valued products. Online websites are the easiest place to find fake bags. However, if the product is not worthy enough, you must kiss goodbye your money. Will I buy a dupe bag? Yes, please. A hi-fashion in a budget is the perfect way to style without breaking the bank. And specially when it comes to fast fashion or IT bags like Chloe Nile Bracelet bag, which is all over the Instagram now. All top fashion bloggers own it and flaunt it. But splashing more than one grand every now and then on trendy bags, is probably not a smart idea for someone like me. Hence the dupes make their way to wardrobes. Many high-street brands are offering such bags but with slight variations to not rip off the original design completely. Zara and Mango are the best brands to find some of the amazing dupes at the friction of price and quality is also not terrible like many Chinese online retailers. Zara quilted leather bag is a great dupe for Chanel boy bag and is popular among fashionistas. Mango metallic handle bag is the distinct relative of Chloe Nile bracelet bag. The bag I am carrying in the picture is from the Brand Marc B and is from their quilted range. This is my first designer duped handbag because I simply adore the quilted detailing of Chanel bags and this was the only decent dupe I could find at high street. Will I buy a fake bag? I will run to the hills if I come across any fake product. I don’t own designer handbag but it is not that difficult to spot the fake bag. Normally the quality is rather poor. Fake bags wear off more easily than designer bags and loses the shape because of the cheap material. Also, buying fake bag is a first step in faking your personality and I am not that kind of person. If I can’t afford it, I will rather not have it. Fake bags don’t take much of a sale from the designers; because who buy fake bags are normally not the kind of people who can afford the real one but it damages the brand reputation and make them less exclusive. Also, heavily replicated brands lose the charm and customers like Michael Kors bags. Have you ever heard anyone talking about them anymore? Are the choices only limited to high end designer, fake or dupe bags? Absolutely no. There are several mid-range brands which are producing the most stylish bags to suit every style. My personal favourite is Fossil. Quality, design and price, everything about this brand is just incredible. It is slightly more expensive in UK but if you get a chance to visit US don’t forget to grab one from the brand. I am carrying a piece from Fossil for more than eight years and still it is in a pretty great shape. Another two UK brands which I adore for their classic design are Fiorelli and Radley. I fall in love with almost every bag they offer. They both sit at different price range but are good options. Similarly, many high street brands have their premium range as well if you are willing to spend little extra for good quality leather handbag. YSL, Gucci and few other high-end designer brands have introduced in recent years’ mini bags, relatively less expensive to reach those customers who are new to all the designer bags. Like YSL blogger bag, camera bag and Gucci Marmont matelassé shoulder bag, Gucci Soho Disco, Prada Textured leather camera bag (the list goes on) due to the huge trend of micro bags with Instagram bloggers. The options are not limited; all we need to do, is to find our style. It may take a little extra effort but it is always worth it at the end. This makes the distinction really clear - in makeup terms, I normally try a dupe of an expensive product to see if I will make use of it. Fakes are just dodgy business! Oh in makeup, fake means disaster and compromising own's health. There are so many different fake items for sale these days! I didn't know the difference between fake and dupe. I wouldn't buy a fake but a dupe I don't mind. I definately wont be paying five grand for a bag! 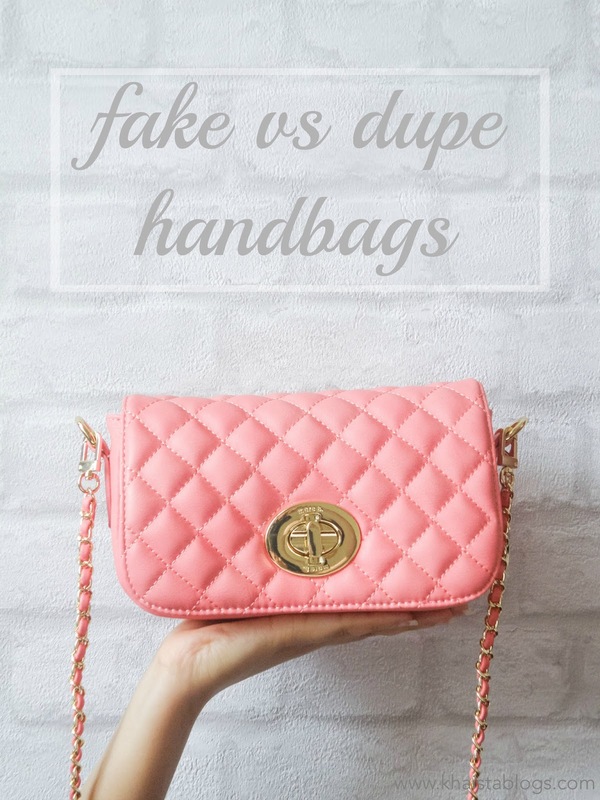 I wouldn't purchase a fake but a dupe would save me lots of money for sure! I had no idea what a dupe bag meant. Thanks for the explanation. Honestly I didn't realise there was a difference between a fake and a dupe so this clarified that for me. I don't think I'll ever be able to afford a designer bag, so dupes are great. Can imagine it's annoying when you're scammed into buying fake dupes though! Such an informative post! I didn't realise that Dupes are authorised, so now I won't worry about buying one of those! I won't ever go down the fake route though! I agree, I will always buy dupes but not fakes. Fakes are always so obvious anyway! 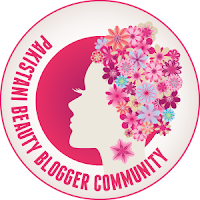 An interesting post and I agree I do not like fake bags. I'm sorry, but you're not correct. A dupe, as in duplicate, is where a High St store have ripped off a design without trying to pass it off as an original. They are absolutely not authorised and stores like Zara are sued all of the time for this kind of thing. I agree with you to some extent but dupe are inspirational designs. They never claim to be the original product. Dupes are not the exact replica. I can give a little edge to them but not to a fake product. Completely agree. Fake ones are so easy to spot. I don't think there is anything wrong with either.